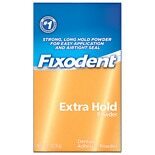 Shop Fixodent Denture Adhesive Powder (2.7 oz. )2.7 oz. 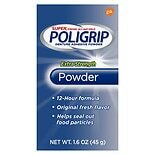 Shop PoliGrip Denture Adhesive Powder (2 oz. )2 oz. $499$4 and 99 cents$3.12 / oz.